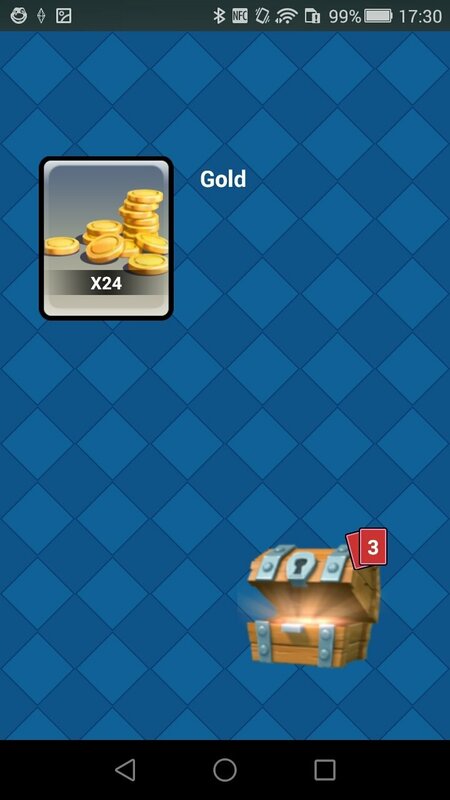 Clash Royale is definitely one of the most successful mobile games of the year. It's a real-time strategy game that combines elements from the tower defense genre and in which players take part in one vs one three-minute combats, trying to knock down the enemy's towers. Beyond the immediacy and speed of the combats, one of the most important elements of the game, as well as the elixir necessary to deploy our troops on the battlefield, are chests. 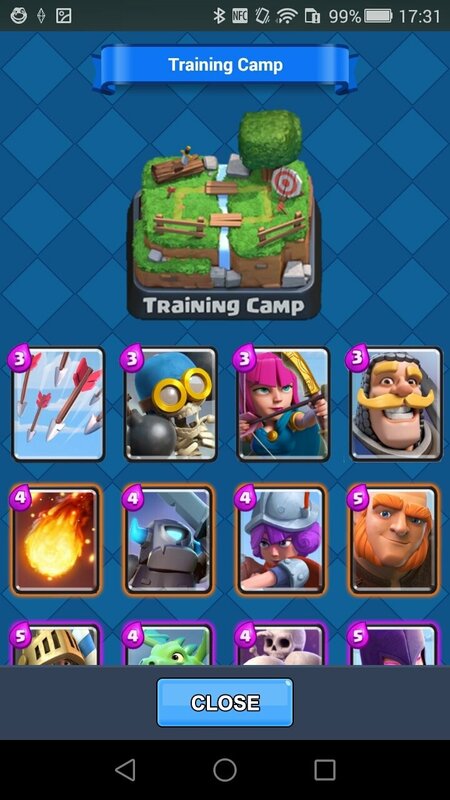 Thanks to them we can collect cards of new characters or get hold of power-ups to improve our warriors. 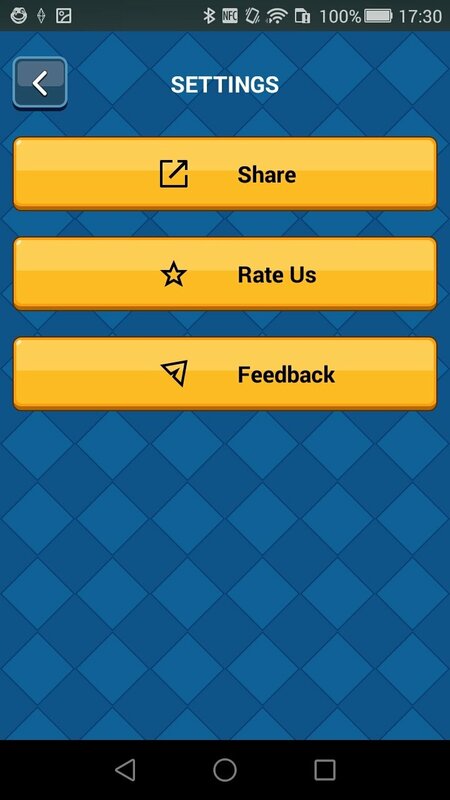 An application created for and by Clash Royale fans. 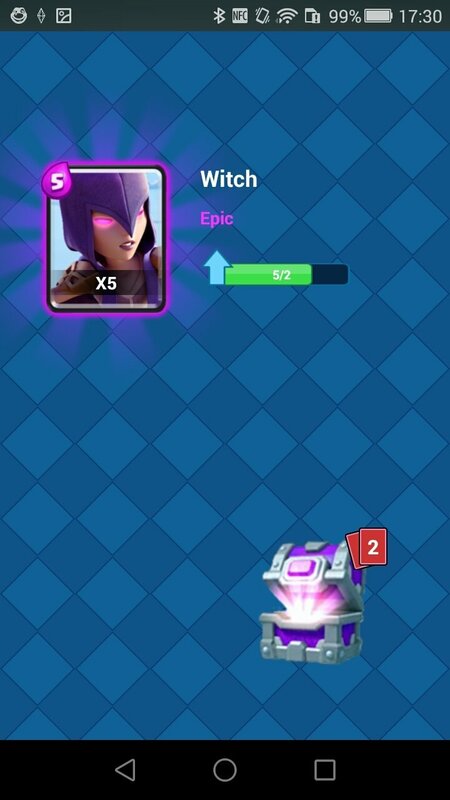 And for such purpose, as of lately Google Play is full of Android applications that simulate the chests of Supercell's latest hit, as is the case of this Chest Simulator, and APK that's the perfect complement for Clash Royale, allowing us to open all sorts of chests (tournament, epic, legendary...) without spending any our gems. 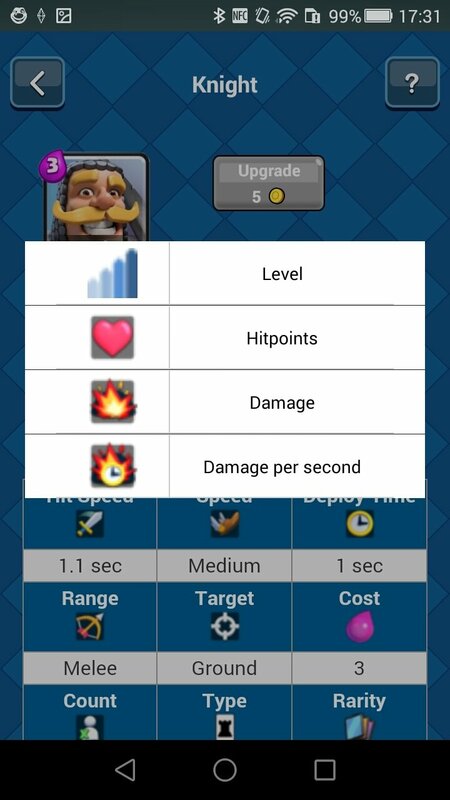 Chest simulator for Clash Royale, the spin-off of Clash of Clans. 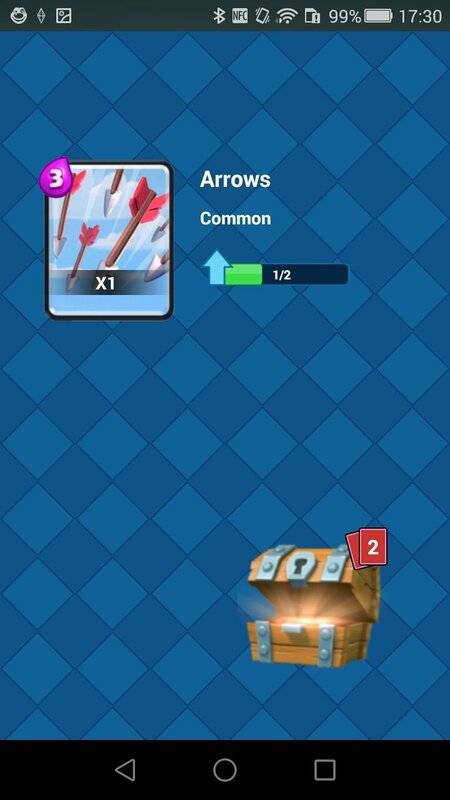 Open up to 10 different types of chests: wood, gold, silver, epic, legendary, etc. 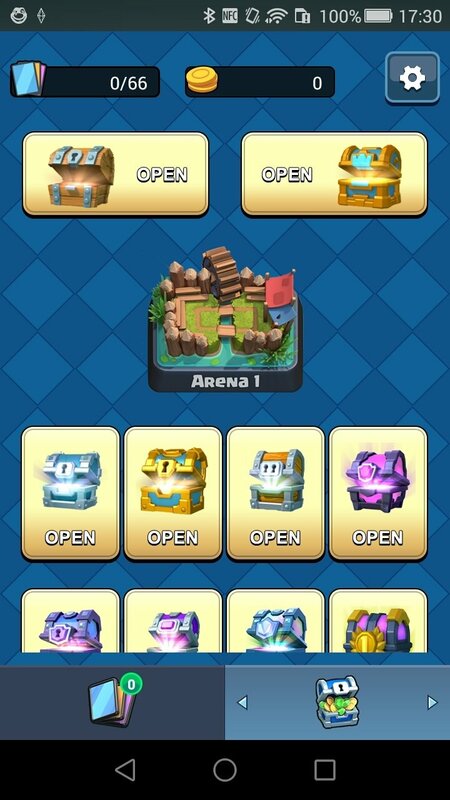 Unlock up to 9 combat arenas: from the Goblin Stadium to the Legendary Arena. 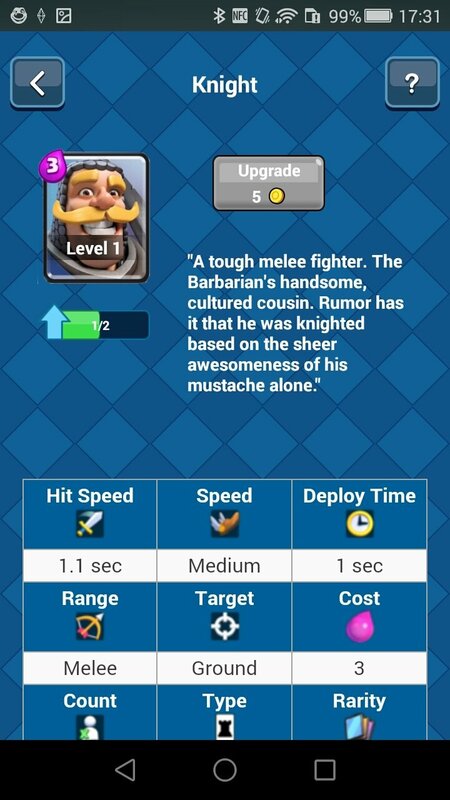 Up to 66 collectible cards to get hold of new characters and evolve their level.